We carry a wide range of before-sun and after-sun products in spray and cream form. Sun Bum is a small company in Cocoa Beach, Florida that makes sun care products specifically formulated for people who live and love in the sun. 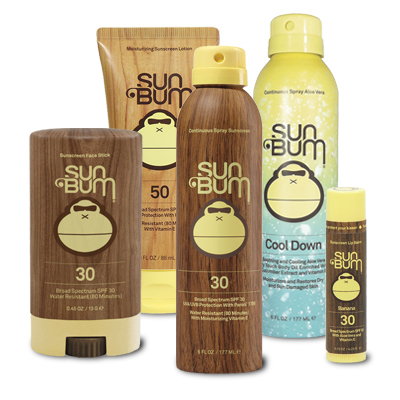 Sun Bum Sunscreens are tested, approved and recommended by The Skin Cancer Foundation.